EPA 30 MPG Hwy/22 MPG City! Heated Leather Seats, Onboard Communications System, iPod/MP3 Input, Dual Zone A/C, Remote Engine Start, Turbo Charged, Aluminum Wheels, Power Liftgate, Satellite Radio, Premium Sound System CLICK ME! Leather Seats, Power Liftgate, Heated Driver Seat, Turbocharged, Premium Sound System, Satellite Radio, iPod/MP3 Input, Onboard Communications System, Aluminum Wheels, Remote Engine Start, Dual Zone A/C, Hands-Free Liftgate, Heated Seats, Heated Leather Seats Rear Spoiler, MP3 Player, Remote Trunk Release, Keyless Entry, Privacy Glass. 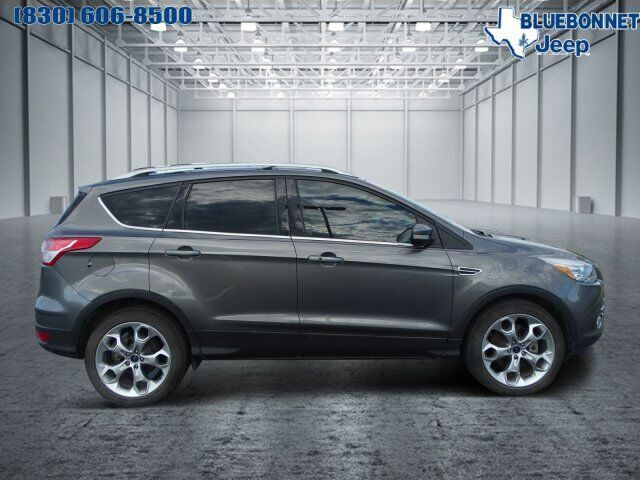 Edmunds.com's review says "The 2013 Ford Escape is a winner in the segment of small crossover utility vehicles thanks to athletic driving dynamics, an inviting cabin and plenty of useful high-tech features.". Great Gas Mileage: 30 MPG Hwy.